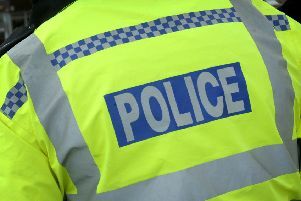 As reports continue to come in of victims in Lincolnshire being conned into handing over thousands of pounds by a scam where callers pose as police officer, one brave woman has spoken out in the hope of warning others against falling victim to this cruel and convincing crime. This is a complicated scam in which fraudsters call their target on the phone and claim to be a police officer (the name DC Smith of Hammersmith Police has been repeatedly used in Lincolnshire). Jackie is 80 and lives in a village near Lincoln and was last week targeted by fraudsters. She said: “I just want to assist the police to make everyone aware of how professional these scams can be. “I’m now concerned for all the other people out there who may succumb to this or any other scam. In Jackie’s case, the man kept her talking for over an hour. He told her that they had arrested some individuals in connection with credit card fraud. Twenty-five cards had been recovered and Jackie’s card was among them. The man claiming to be an officer went on to say that staff in the bank had been corrupted and that they were part of this fraud. He said that Jackie’s help would be key to helping them disrupt this fraud and arrest those responsible. Jackie was told to go to the bank to withdraw £5,000s. He said this would ensure a block was put on her account. He told her that the corrupt staff in the bank would give her fake notes and that they would then be able to get the fingerprints of those responsible. If Jackie didn’t do this, the fraudster told her, then her money would be at risk and the police would not be able to disrupt this gang. Jackie explained that the panic she felt prevented her from thinking clearly but she knew that something was not quite right with the story. Jackie was coached in what to say in the bank and told to take her phone with her, keeping the line open so he could hear everything that happened. The alarm bells that had been ringing since Jackie picked up her phone to this man could no longer be ignored. She dialled 999. The fraudster, still on the other line, asked Jackie what she was doing and why she was not trusting him now. Jackie told him she wanted to verify the crime number. Lincolnshire Police are asking everyone to help spread this message and to report any incidents, call 101 so a clear picture can be drawn of the scale of the problem.